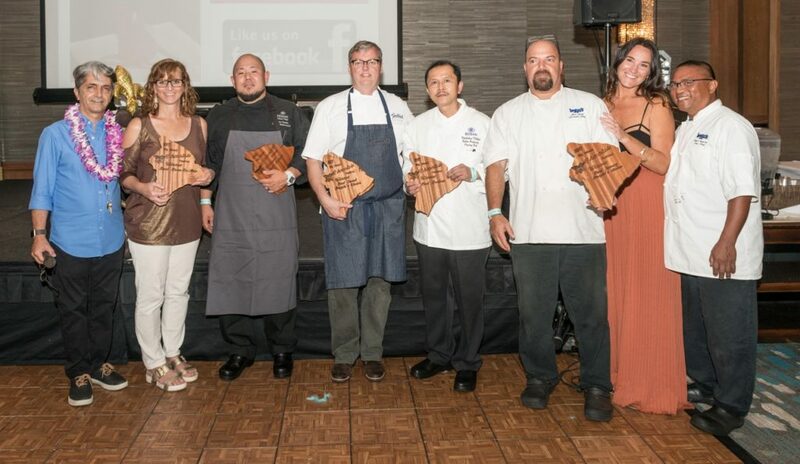 From Left: Big Island Chocolate Festival founder Farsheed Bonakdar presented the professional culinary winners with their plaques: Michelle Yamaguchi of Wailua Estate for Best Bean-to-Bar, Chef Dayne Tanabe of Hilton Waikoloa Village for Best Savory, Chef Donald Wressell of Guittard Chocolate Company for Best Plated Dessert and People’s Choice Best Sweet, Chef Eddie Enojardo for Best Bonbon and Chef Alan Heap, Mara Masuda and Albert Asuncion of Huggo’s for People Choice Best Savory. From Left: High School scholarship winners included Hannah Norman and Mina Acosta-Cabamungan of Waiakea and Rhoma Dait of Kea‘au. 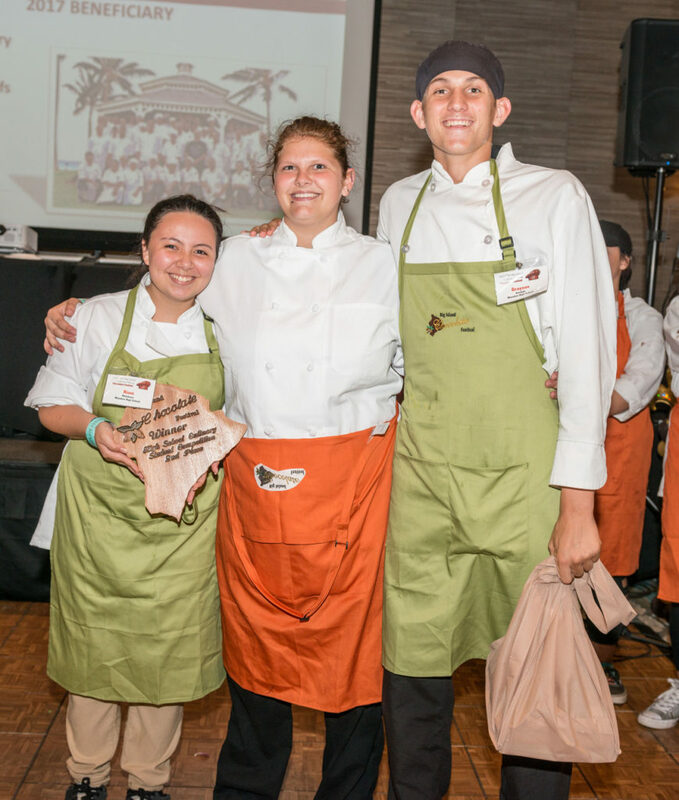 Earning first place in the high school culinary division were students from Kea‘au High School. Students at Waiakea High School placed second in the high school culinary division. 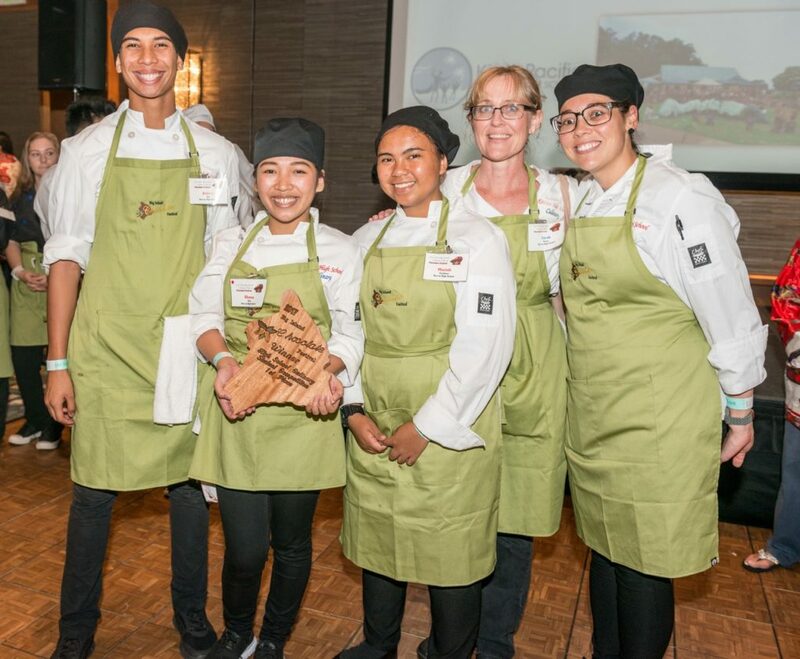 Taking third place in the high school culinary division was the Konawaena team. 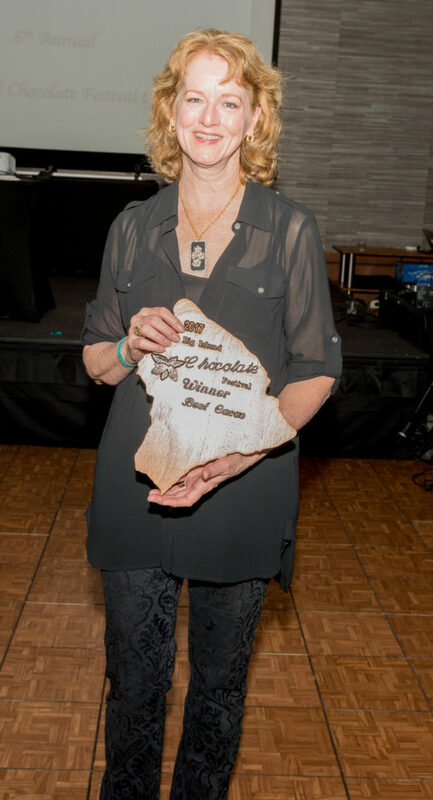 Gala winners were Chef Dayne Tanabe of Hilton Waikoloa Village for Best Savory, Chef Donald Wressell of Guittard Chocolate Company for Best Plated Dessert, Chef Eddie Enojardo of Hilton Waikoloa Village for Best Bonbon and Michelle Yamaguchi of Wailua Estate for Best Bean-to- Bar Chocolate.